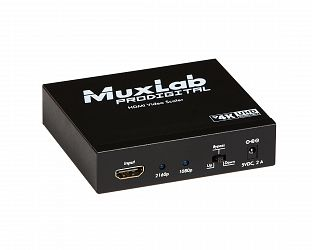 Muxlab 500433 är en HDMI video scaler som kan skala mellan 1080 och 4K upplösningar med 8-bit färg och HD ljud. 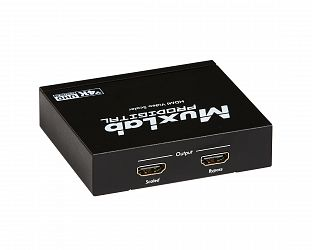 The HDMI Video Scaler allows one (1) HDMI sources to be distributed to one (1) HDMI display. The scaler supports up to 4K (3840 x 2160), 8-bit color and HD audio. 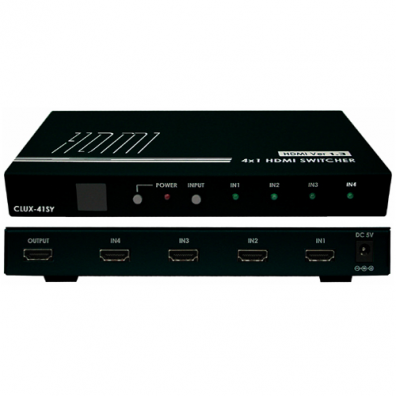 The scaler can upscale a 1080p/24Hz video to 4K/24Hz or downscale a 4K/24Hz to 1080p/24Hz. 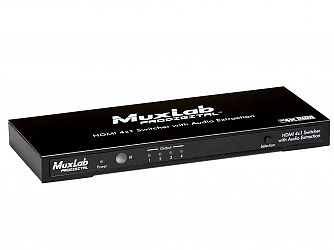 The scaler is HDCP 1.3 compliant and features LED diagnostics.